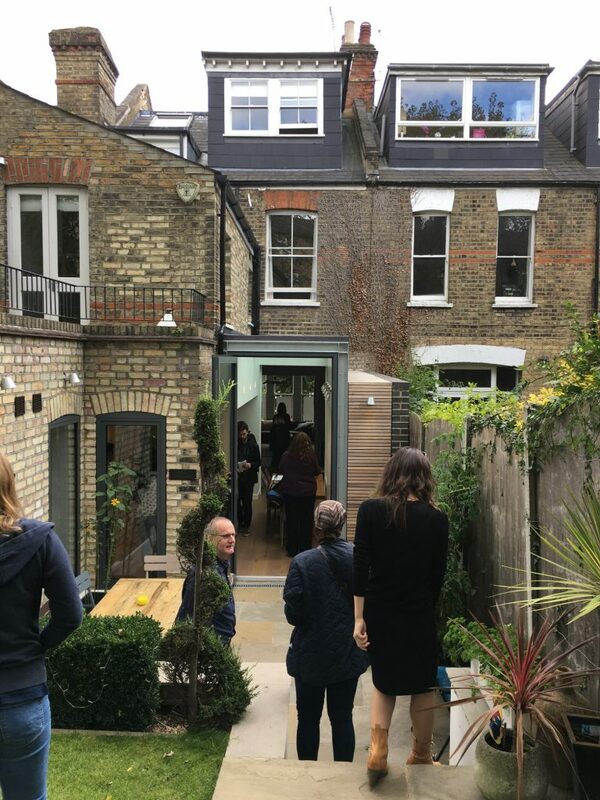 Between 1 and 5pm on the afternoon of Saturday 16 September Knott Architects and the owners welcomed more than 300 visitors to one of their projects in N4. It was Knott Architects’ 18th year as participants in this annual celebration of architecture in London, always a great event. This view of the extension from the garden focuses on the glass side extension with oversize glass door.